Congratulations to St Paul’s JC history team who succeeded in beating off tough competition from other schools during our History Week recently. With Ardscoil na Trionoide coming up fast in the points race, the St Paul’s young historians managed to stay enough points ahead to become victors. 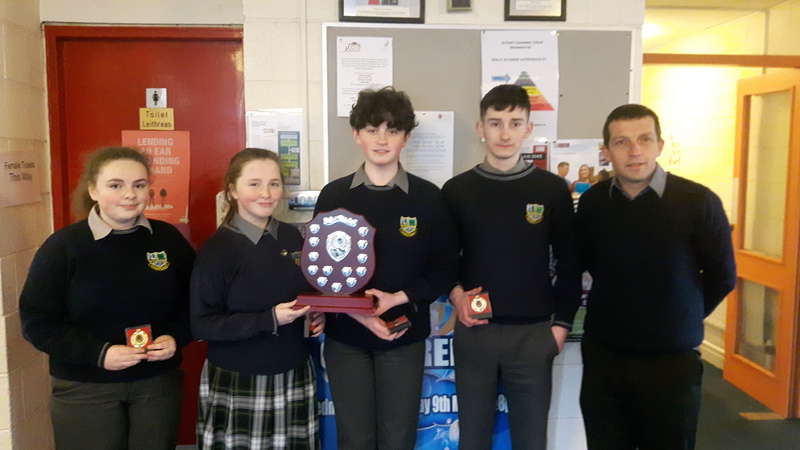 They were presented with their medals and the Winner’s Shield by the school Principal, Mr Bergin.